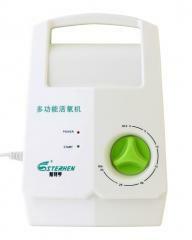 The multifunction home device for carrying out ozonotherapy, purification of air, water, food stuffs, removal of unpleasant smells. Disinfection by ozone is an ideal way of elimination of chemical pollution of food stuffs. Researches showed that ozone is the best microbicide. In only a few minutes ozone effectively kills colibacilli and other viruses and microbes. Ozone disinfects much better (from 600 to 3000 times), than ultraviolet rays (quartz treatment by an uf-lamp), chlorine or other means. It is easily dissolved in water, it is 13 times better, than oxygen. Ability of disinfection of ozone even amplifies when it is dissolved in water. And after switching off of an ozonizer, ozone itself breaks up to oxygen through 20-40min., there is only a freshness, purity and health. 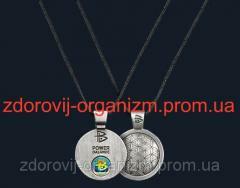 – Elimination of fungus diseases. Recommendations – After operation of the device it is recommended to air the room a little. – When using the device for air clarification, presence of people indoors is not recommended. – Single period of operation of the device at an ochikshcheniya of air has to make no more than 15 minutes. Specific values of the recommended period of operation have to be differentiated depending on room volume. 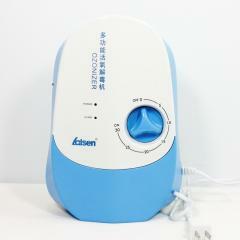 – To make use of the device for the purpose of ozonization of water in the ventilated rooms. 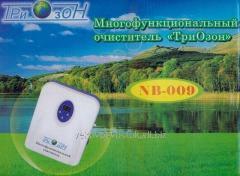 It is recommended to install the device on higher level since ozone is heavier than air. For one session the maximum operating time should not exceed 30 minutes. To place a nozzle in capacity with water and to set operating time. For one glass of water — 5 min., for 10 liters of water-15-20 minutes. It is recommended to sustain 10 minutes water after processing. The ozonized water can be used for different domestic needs, for example: washings, washing of fruit, vegetables, boiling (tea, coffee), preparation of first courses, compotes. Properties of the conditioned water remain within 48 hours. To fill in vegetables or fruit with water, to place a tubule with a naksadka and to process 15 minutes for the purpose of removal of toxic chemicals. To place a hose with a nozzle in ware with eggs, to fill in with water and to process them within 10 minutes. As a result period of storage of eggs lasts. (Without final air duct) to install the device, on a vozkmozhnost, on higher level, having set operating time of 10-15 minutes. The area of the serviced room to 70 sq.m. As a result the tobacco smoke, etc. unpleasant smells is removed, air is enriched with ozone and becomes similar forest, as after a thunder-storm. The final air duct (without nozzles) is located in a hoklodilnik or the washing machine, and the device turns on for 10-15 minutes for full deodorization. To close a door of the refrigerator or a window of the washing machine not densely not to press the air duct. To put the lower or bed linen in a plastic bag, where to place the air duct without nozzle. To tie a package, without pressing the air duct and to make disinfection within 10-15 minutes. This method is very convenient for processing of children's linen and diapers since it excludes need of an ironing. For removal of an unpleasant smell from a mouth and processing of teeth to use water right after ozonization. Use of the ozonized water when washing linen and clothes gives to products brightness, contrast, freshness, and also makes disinfection. 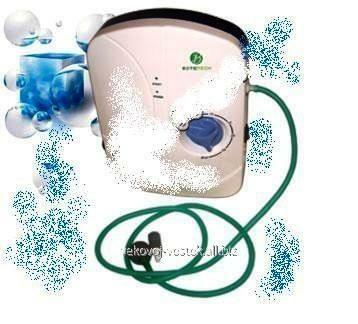 For giving to face skin of smoothness and freshness it is necessary to wash daily ozonized water. It is possible to dip the person into capacity with this water. It also promotes deep clarification of face pores and completely deletes a make-up. For effective removal of acne rash it is necessary to wash daily ozonized water and to blow ozone (by means of the air duct without nozzle) in sore points within 2-3 minutes 7 days. For receiving bigger effect it is recommended to use inside a glass of the ozonized water and to wash. Drink of the ozonized water recovers acid-base balance in an organism and activates exchange processes. To wash legs with the ozonized water; to process ozone (the air duct without nozzles) the places of legs struck with a fungus. Water in a bathtub should not exceed breast level, distemper of round 38 ° -40 °, duration no more than 20 minutes. It is necessary to rinse hair with the ozonized water without upholding two times a week. It is necessary to make processing for disinfection of domestic animals the end of the air duct without nozzle. The regular use of the ozonized water and bathing in it (1-2 times a week) slows down developments of a carcinoma cutaneum for 40%, other tumors — for 30%. Operation of an ozonizer 1. Turn on the device in a network. 2. Attach the final air duct. 3. Attach the necessary nozzle to the air duct. 4. Choose an operating mode: "+" or "-". 5. Set device operating time by pressing of the button. ATTENTION!!! • Not to use metal, aluminum or copper tanks. • Before use of the device attentively read the instruction. Precautionary measures – For a detachment of a network cord pull it for the plug, but not for a cord. – Do not allow hit in the water device, etc. liquids. – Do not use chemically active liquids (different solvents) for cleaning of the body of the device. – Do not try to open independently the body in order to avoid blow with electric current. Before turning on of the device check compliance of tension of a network at which it works. – Tension in a network has to be 220 V.
– When cleaning do not lower the device in water or other liquids. – Do not use the device if the electricity cable is damaged. In order to avoid blow el. it has to be replaced with current. Unbelievable price on Ozonizer multifunction Botietech in Kiev (Ukraine) company Vekovoj vostok, OOO.